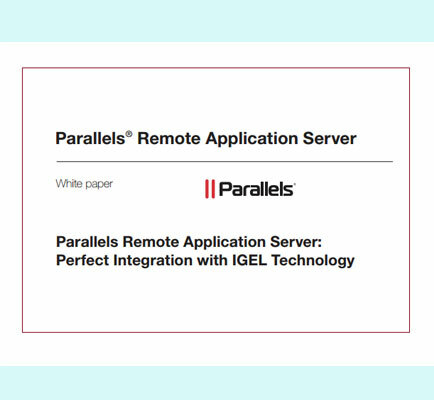 "IGEL Technology and Parallels Remote Application Server Advantages"
This whitepaper depicts the upsides of utilizing thin clients instead of PCs, furthermore, shows how thin clients can deliver noteworthy cost savings over time to your enterprise. IGEL Technology and Parallels have been working together on thin client computing and virtual desktops since 2002 to deliver a solution for fast and economical implementation of server-based computing and desktop virtualization. What exactly are Thin Clients? Why Should You Switch to Thin Clients?